Traveling together with locals is absolutely fun! There must be new, undiscovered charming sides to Japan out there!! Being with people from different nationalities and learning about the area together will lead to new relationships and the memories you make will surely be different from other travels. This is the belief that brought the “Nari-Kiri” Project to fruition. 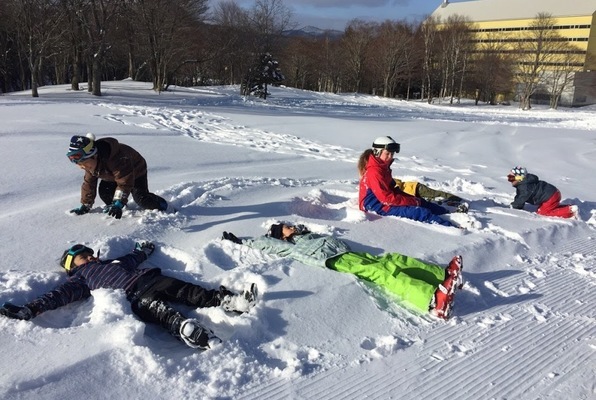 The first time the project took flight was in Iwate-machi, in the Iwate district of Iwate Prefecture. Iwate-machi is a small town and is where Iwate Numakunai Station, also known as the Shinkansen (bullet train) station with the lowest passenger numbers in all of Japan, is situated. Despite having the prefecture name “Iwate” appear three consecutive times in its full address (Iwate-machi, Iwate district, Iwate), this small town is not well known, even amongst the Japanese. For three days, from October 1 to October 3, this is where the Iwate-machi Autumn Festival was held. This event is the pride of the locals, so much so that classes were called off in local schools on October 3rd, a Monday and a weekday. Japanese festivals are sacred events. Do you know the difference between the “Mikoshi” and “Dashi” floats often seen at Japanese festivals? A “Mikoshi” is a float that many people carry on their shoulders, as can be seen during the “Sanja-Matsuri” in Asakusa. This is a vehicle for the Gods. In contrast, “Dashi” are the floats that you see in festivals such as the “Gion-Matsuri” in Kyoto where they are pulled by a crowd, and have people riding on top, banging on Japanese taiko drums and dancing to invite the Gods. 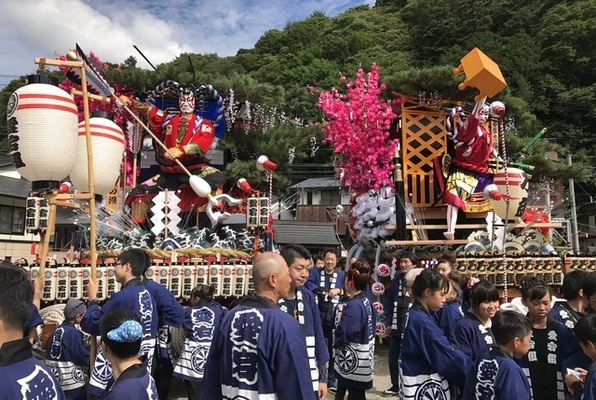 There are five neighborhood associations, known as “Kumi”, in Iwate-machi and each year, each of these Kumi create their own elaborate Dashi float. During the three days of the Autumn Festival, each of the Kumi parades around town alongside their Dashi float. The normally sedate, lonely town of Iwate-machi transforms into a lively, energetic spot with streets lined with food stalls and people bustling about. For this project, guests participate “as a local” in the Autumn Festival, which is both sacred and the pride of residents of Iwate-machi. 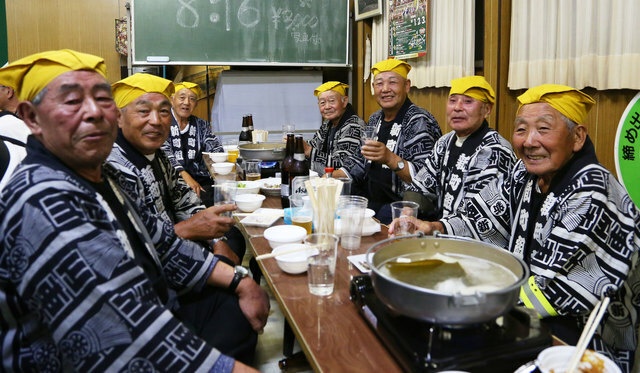 This is a special project where you aren’t just watching the festival from the sidelines, but you actually get to become a member of a Kumi, dress in the same outfit, and together with the locals, pull a Dashi float, take rest breaks and enjoy delicious sake. Participants from all over the world were joyed being able to sit on the floor and pour each other drinks in true Japanese style. And when it was time to go, they were given a hearty send-off with hugs and handshakes. The following day, guests enjoyed the festival from the visitors’ side. Dressed in kimono, they cheered loudly and gave out high fives when they saw the Dashi float and members of the Kumi they had joined the previous day. This was the highlighting moment of the project.